Let me first explain how I landed in this situation. With the release of PowerCli 11.2, support for many new VMware products was introduced and VMware HCX is one such product. PowerCli module name for HCX is “VMware.VimAutomation.HCX” and it currently have 20 cmdlets to manage HCX. 1: Once the necessary module is installed, we can use the Get-Command to examine the cmdlets that are available for HCX. VMware Hybrid Cloud Extension is a powerful product for datacenter migration/replacement (On-Prem or from On-Prem to Cloud) and disaster recovery. VMware HCX supports 3 major cloud at the moment namely VMware Cloud on AWS, OVH Cloud and IBM Cloud. Although HCX interface for workload migration is very simple and even the first times can migrate workloads without much difficulty, but it is always good to know about the API offering of any product so that you can automate stuffs via scripting. In this post I will walk through steps of upgrading a clustered vRLI deployment. Before preparing for upgrade, make sure to read VMware documentation for the supported upgrade path. Upgrading vRealize Log Insight must be done from the master node’s FQDN. Upgrading using the Integrated Load Balancer IP address is not supported. You can use more than one method in the same deployment and users then select the type of authentication to use at log in. Switch to Active Directory tab and toggle the “Enable Active Directory support” button. 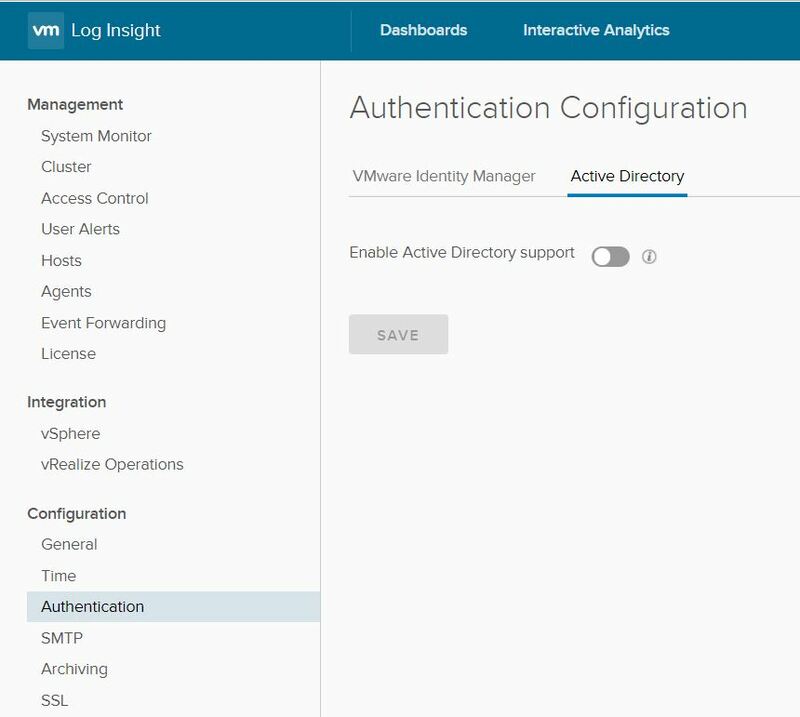 vRealize log insight can be deployed as a standalone or as a clustered solution. In a clustered deployment the first node is the master node and the remaining nodes are termed as worker nodes. The process of scaling up is pretty straight forward and in this post I will walk through the steps of doing so. vRealize Log Insight does not support WAN clustering (also called geo-clustering or remote clustering). All nodes in the cluster should be deployed in the same Layer 2 LAN. Configure a minimum of three nodes in a vRealize Log Insight cluster. 2 node cluster is not supported. 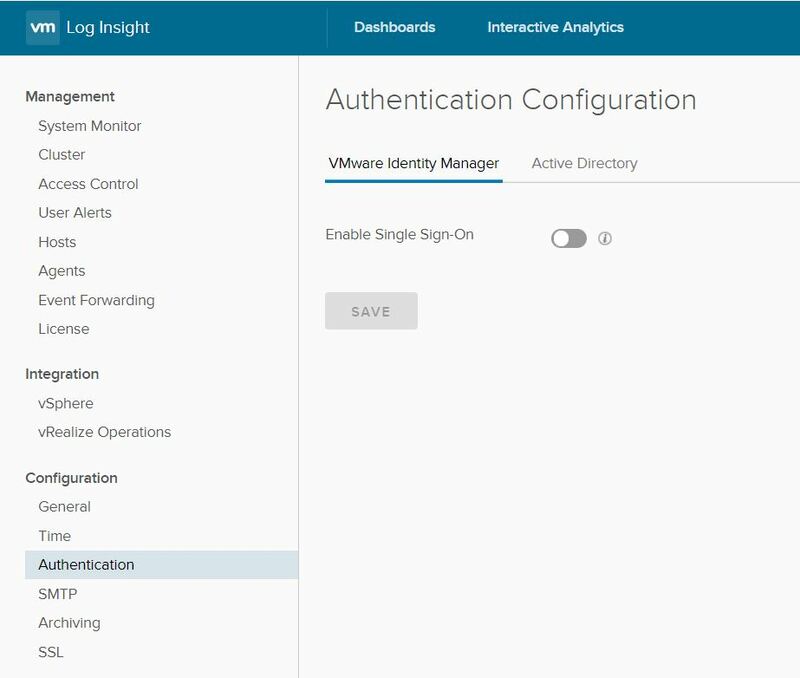 Verify that the versions of the vRealize Log Insight master and worker nodes are same. Do not add an older version vRealize Log Insight worker to a newer version vRealize Log Insight master node. External load balancers are not supported for vRealize Log Insight clusters. You need to use the vRealize log insight integrated load balancer (ILB). Let’s jump into lab to see the process in action. In this post I will walk through steps of upgrading a distributed vRA 7.4 environment to v7.5. This is continuation of my earlier post where I deployed vRA 7.4 via vRLCM. Important: If you are doing upgrade in a distributed environment, then make sure you have disabled the secondary members of pool and all monitors removed for the pool members during the upgrade process. vRLCM is a great tool but the only shortcoming which is still there with v 2.0 is the ability to cancel any running task via GUI. I faced this situation when I was trying to add a remote collector node to an existing vROPS deployment and task kept running for more than 4 hours. While searching on internet for how we can stop/cancel/delete a request in vRLCM, came across this thread on VMware Code website, where it was mentioned that it’s not possible from GUI and we need to use REST API. In first post of this series, I talked briefly about what vRealize Suite Lifecycle Manager is and its capabilities. Also I covered the installation and initial configuration settings of the appliance. In this post I will walk through steps of deploying vRA 7.4 distributed install in automated fashion using vRLCM.